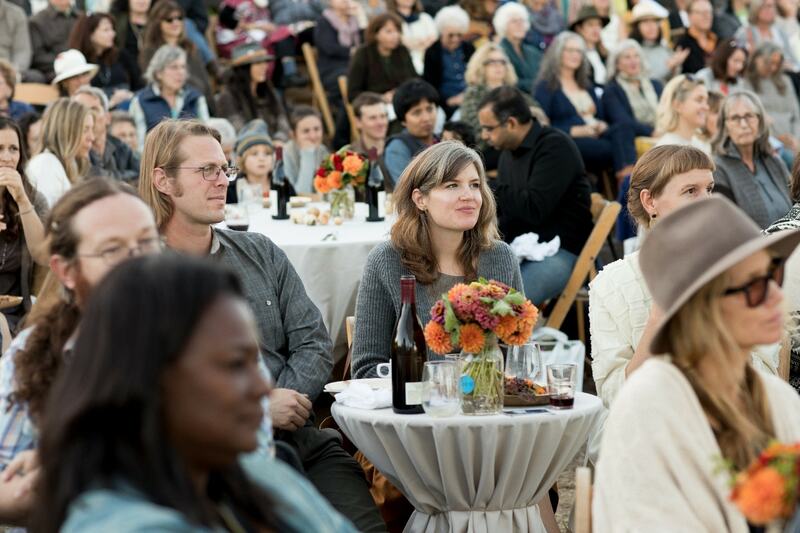 We recently attended + donated to the Fibershed Climate Beneficial Gala, coordinated by Andrea Plell of Ecologique Fashion, to celebrate responsibly made + local fashion. 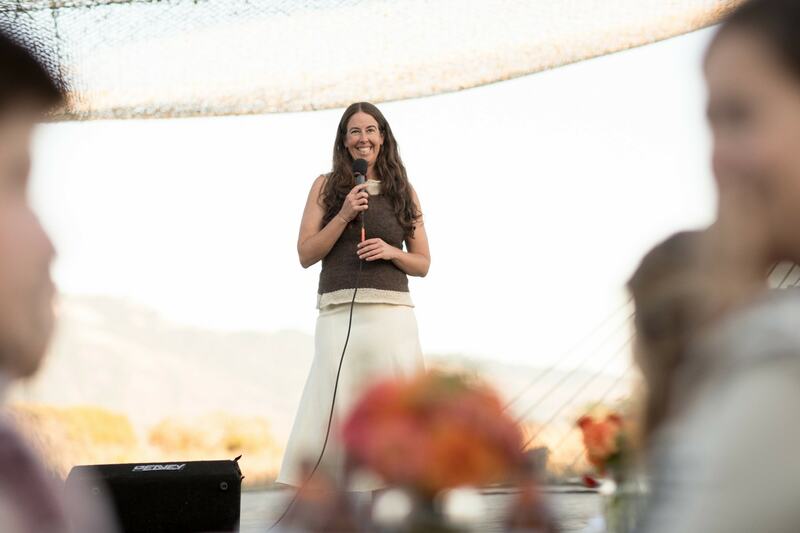 Andrea did such an amazing job producing the event, it was truly breathtaking. 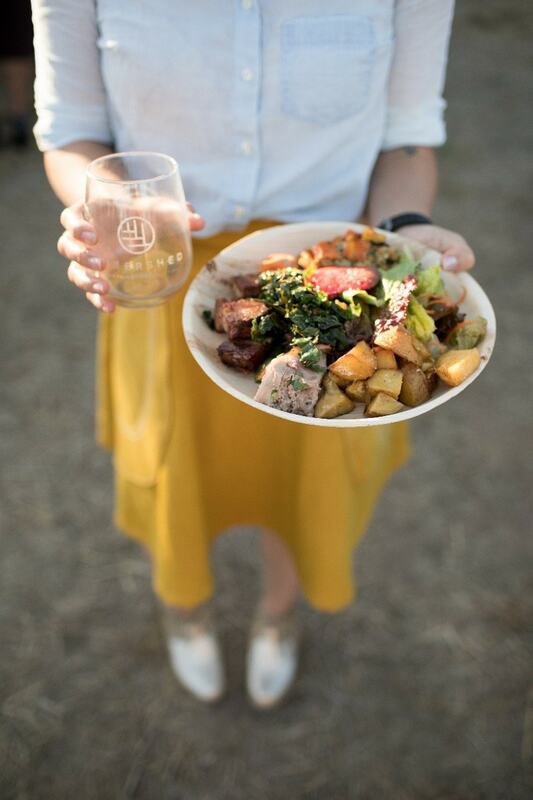 We wanted to share with you a bit of her story, as she is such an inspiration for consuming thoughtfully and we love that she has built her brand around a sustainable ethos. I’m an extroverted introvert who loves the ocean and is driven to support a positive shift in the fashion industry. I’m infatuated with everything from the 1920s and often feel like I was born in the wrong era. I enjoy watching old movies on the big screen, reading books at home curled up in my favorite handwoven wool blanket and going for long walks with my two adopted Beagle- Chihuahua mixes. On my days off you can find me at the museum, the library or dabbling in DIY projects. My most recent DIY attempt was a shibori sesh in my backyard with friends where I made my very first natural indigo dye vat. How did you decide to start Ecologique Fashion? Was there an aha moment? Ecologique Fashion was sparked from an “Ah! I have to do something” moment upon discovering the ugly truths behind the fashion industry. It started in 2007 as a blog where I featured sustainable brands and provided tips to those looking for more ethical apparel alternatives. As someone who once succumbed to the trendiness and accessibility of fast fashion, I was appalled to learn how much environmental and social harm I was supporting with each impulse purchase I made. On one hand I become really depressed at the thought of this; however it also made me overtly conscious of my personal impact on the world, enabling me to recognize that making small changes in my routine could really make a difference. Ecologique Fashion grew out of my need to adapt to a more conscious lifestyle, and over the years has organically evolved from a blog and fashion event into an ethical fashion consultancy providing sustainable fashion brands and organizations with public relations and event planning services. 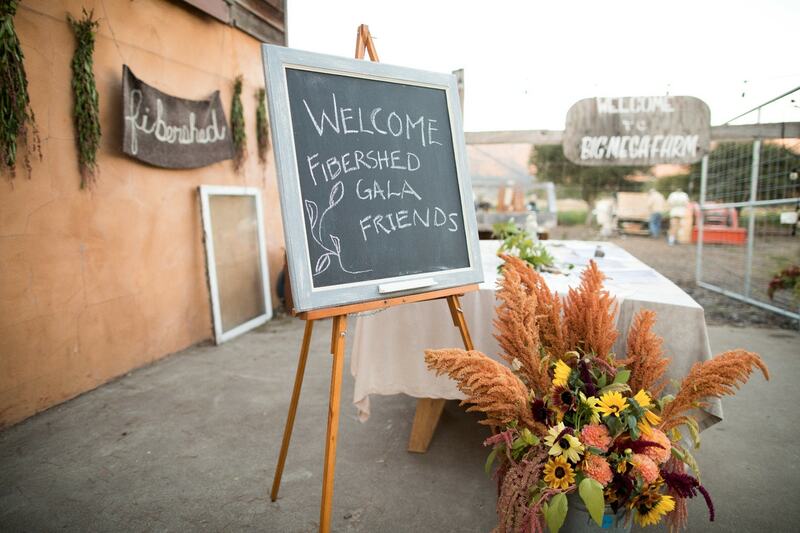 We are so excited to attend the Fibershed Fashion Gala. How has this event grown over the years? 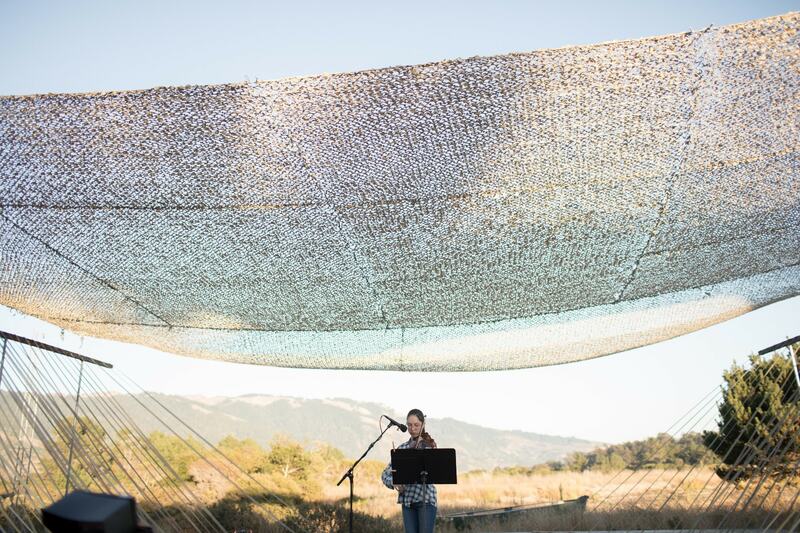 Fibershed’s biennial gala is one of my favorite projects to be a part of and one I am so honored to coordinate. 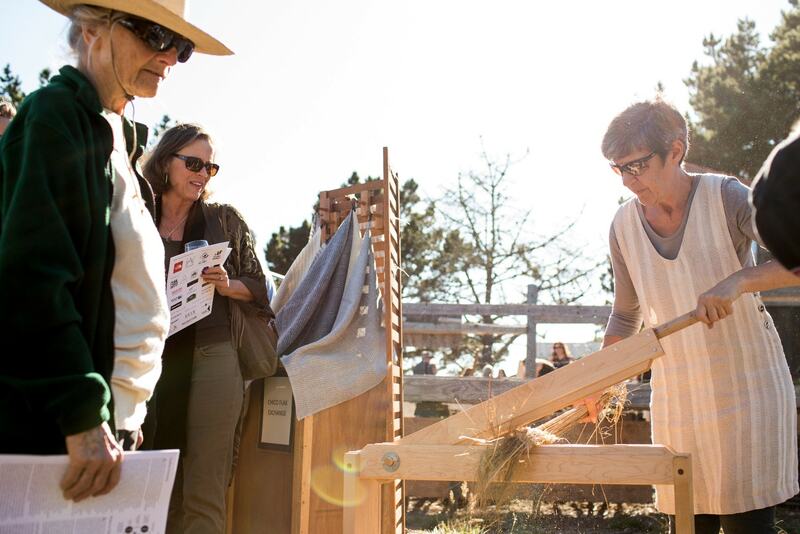 Each year I am blown away by the richness of our local fibershed, the abundance of sustainably farmed fibers we have available right in our backyard. Over the years the gala brings more awareness to the slow fashion movement as the soil-to-skin runway garments keep getting better and better and the styling more competitive with the mainstream. 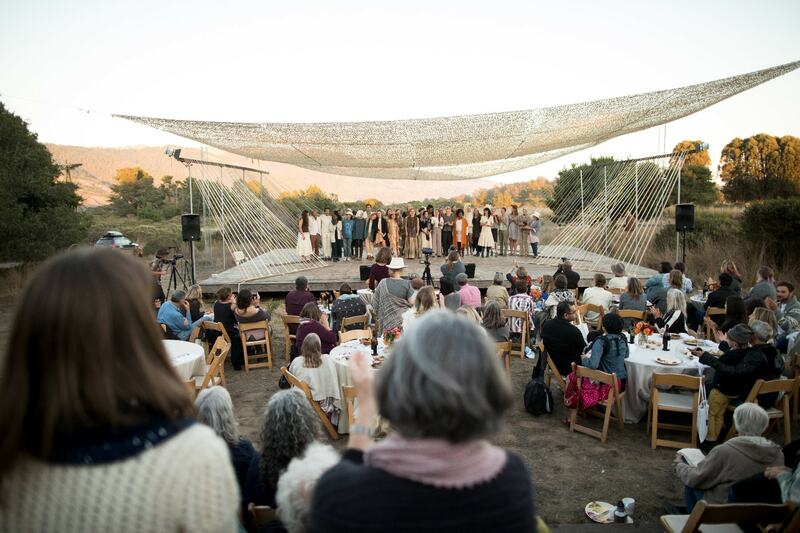 What aspect of this years Fibershed Fashion Gala are you most inspired by? I’m most inspired by the compassion that brings so many walks of life together to support the health of our biosphere and the livelihoods of our community of producers and creatives., I love the fact that although two designers might be using the same fiber on the runway, their creations are so completely different yet insanely beautiful in their own right. What is the ultimate goal or vision for the gala? This year’s gala introduces Climate Beneficial clothing, or clothing with a net negative carbon impact. Global warming is caused by too much carbon in our atmosphere, much of this due to fossil fuels and conventional agricultural practices. 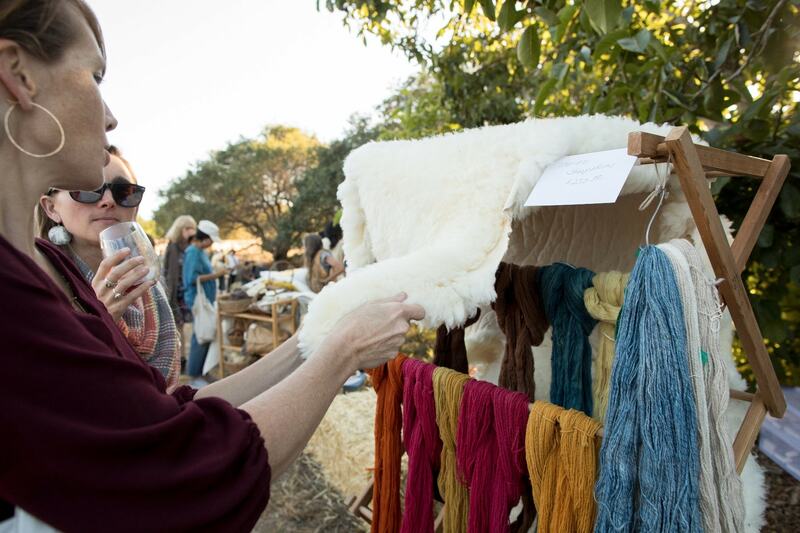 Natural fibers like wool, if raised and farmed sustainably, can ameliorate the effects of climate change by sequestering carbon back into the soil where it belongs. 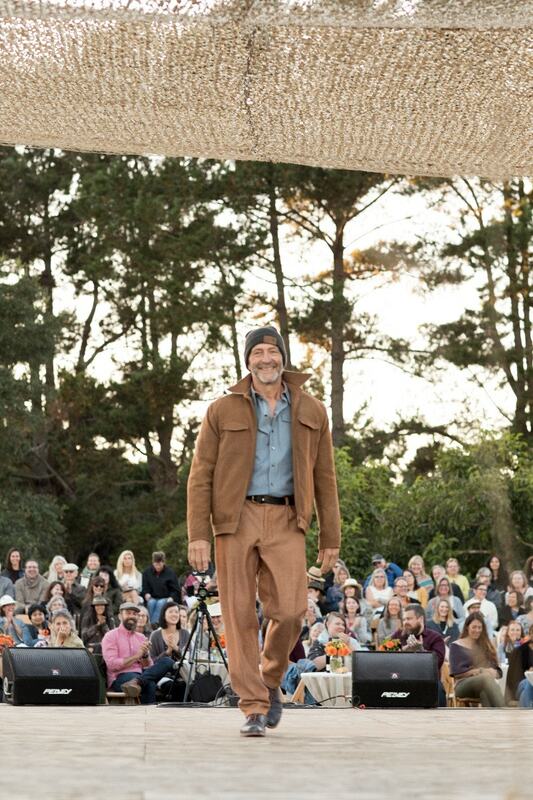 All of the looks featured on the gala runway are made from carbon-farmed wool yarn, the first finely woven Climate Beneficial Wool fabric that California has ever produced. 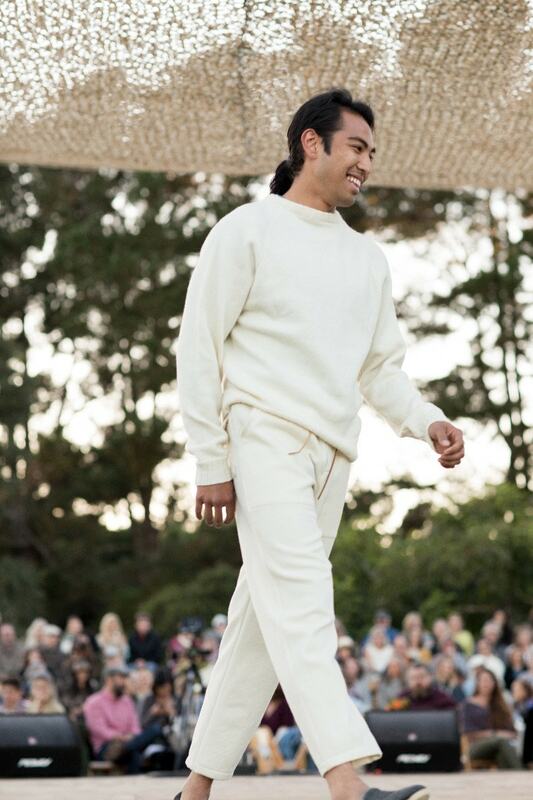 How does Ecologique Fashion help with sustainably focused events? 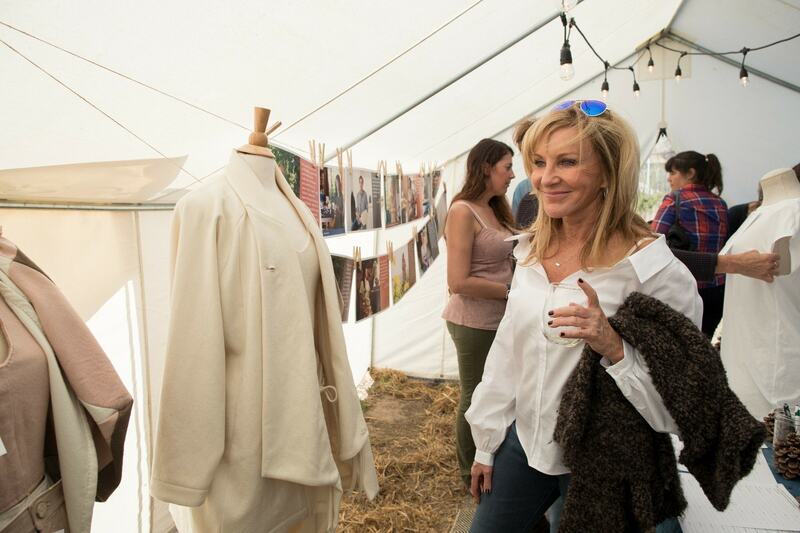 Through Ecologique Fashion I have hosted a number of fashion events, marketplaces, trunk shows, press events and runway shows—all within the sustainable apparel sphere. Putting on events is one of the most stressful things about my job, but also one of the things I most enjoy. I really feel in my element with chaos and unpredictability. Through this work I have found a certain peace under pressure, an ability I am very lucky to have acquired. What is your role in the SF Fashion Revolution week? I am the West Coast Regional Coordinator for Fashion Revolution. 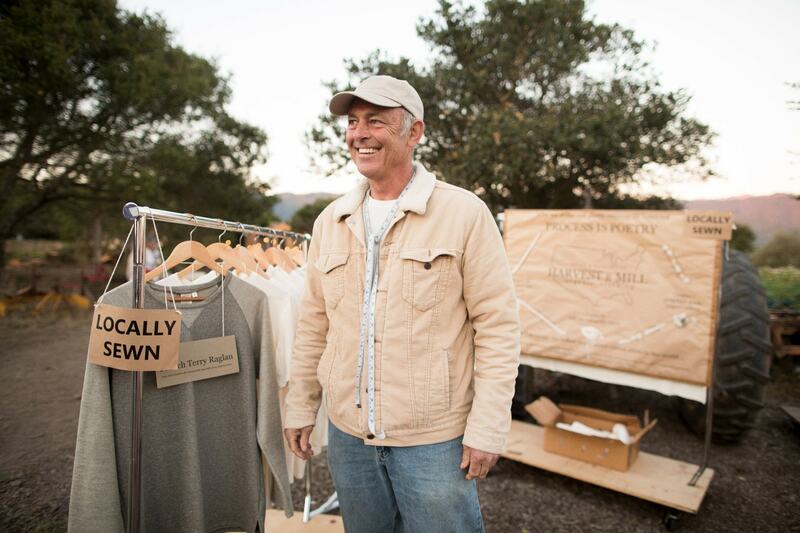 Along with our local chapter, we have hosted Fashion Revolution Week activities in San Francisco, the East Bay and Marin for the past three years. Although sparked by the tragic Rana Plaza factory collapse in Bangladesh in April 2013, the Fashion Revolution enriches our local fashion community as we come together to engage the public with the people who make our clothes. What are some exciting projects you have coming down the line? Fashion Revolution and Remake will be hosting a screening of the film RIVERBLUE along with Coyuchi and Globe In on November 19 in San Francisco. RIVERBLUE exposes what the apparel industry and big fashion brands are doing to our waterways. You can see the trailer here. 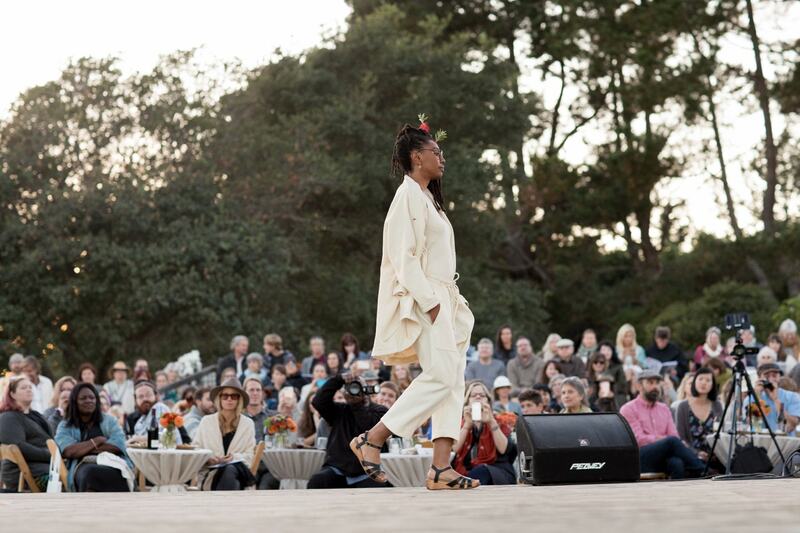 How does living in California inspire the Ecologique Fashion mission? The diverse landscape of California is certainly an inspiration for me. Living in Northern California affords me the magic of the redwoods, the solace of the ocean and the calm of the coastal prairies. Being so close to nature is a constant reminder that we make up a part of it and therefore should interact symbiotically. 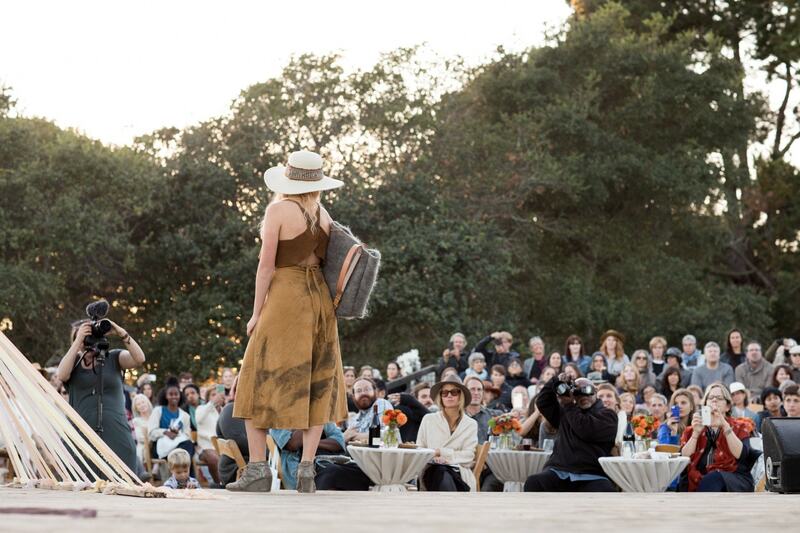 Can you share with us some resources for sustainable fashion in the Bay Area? on as of late are Ali Golden, Kamperett and First Rite apparel. I also love Tonlé zero-waste vests, gorgeous alpaca knitwear by Callina, handwoven scarves by Indigo Handloom, handbags by Future Glory, naturally dyed goodness by Dear Indigo and Piece x Piece, and merino loungers by Allbirds. My fave local ethical fashion boutiques are Mira Mira in San Francisco, and Kosa Arts and Atomic Garden in Oakland. How can we use the Ecologique Fashion ethos when decorating our homes? Instead of opting for a quick online purchase, do your research. Embrace natural and organic fibers whenever possible and avoid polyester blends as they contain microplastics that make their way into our drinking water after every wash. Look at the tag and see where your products are made. If they were made in another country, do they have a fair-trade stamp certifying that they were produced in a fair factory that treats their workers with respect? Support your local economy whenever possible by embracing artisan goods made within your community. Always think of the end life of the things that you purchase and ask yourself: How long will I use this? Is this a trendy item that will only survive one season? The goal is to invest in quality products that will last, be used for many years and, if made from natural materials, will be compostable once their job is done. Read the article on Coyuchi’s blog!